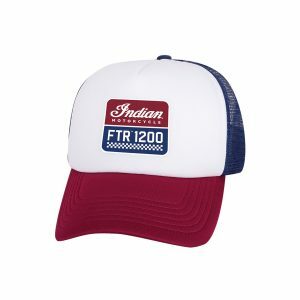 Additional Features: CE protectors in the shoulders and elbows; snap down collar; antique brass zippers; embroidered Indian logo on front left; applique/embroidered Indian logo on back; patch on arm. 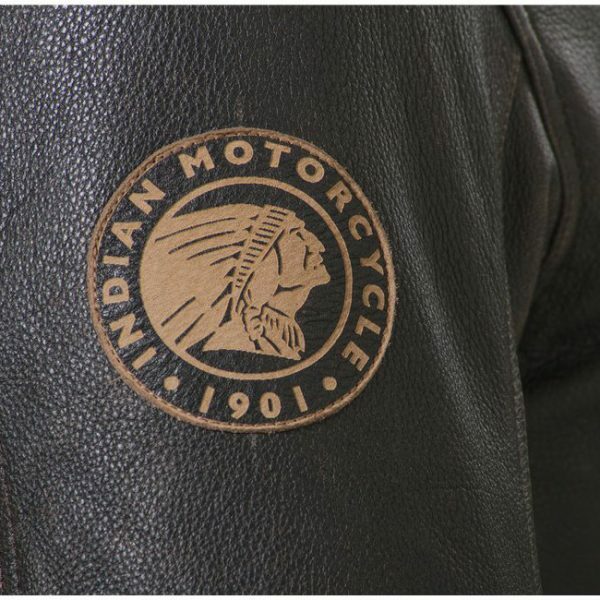 The Indian Classic 2 Jacket was brought in to replace the popular Indian Classic Leather Jacket. Simple in principal but sophisticated in style, this “Classic” leather jacket is timeless and a must have addition to an Indian rider’s bike kit. 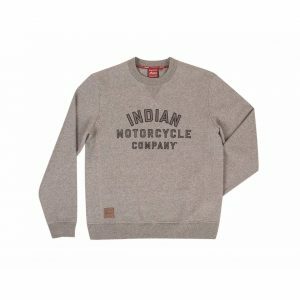 The leather is super soft and is given a weathered vintage look. 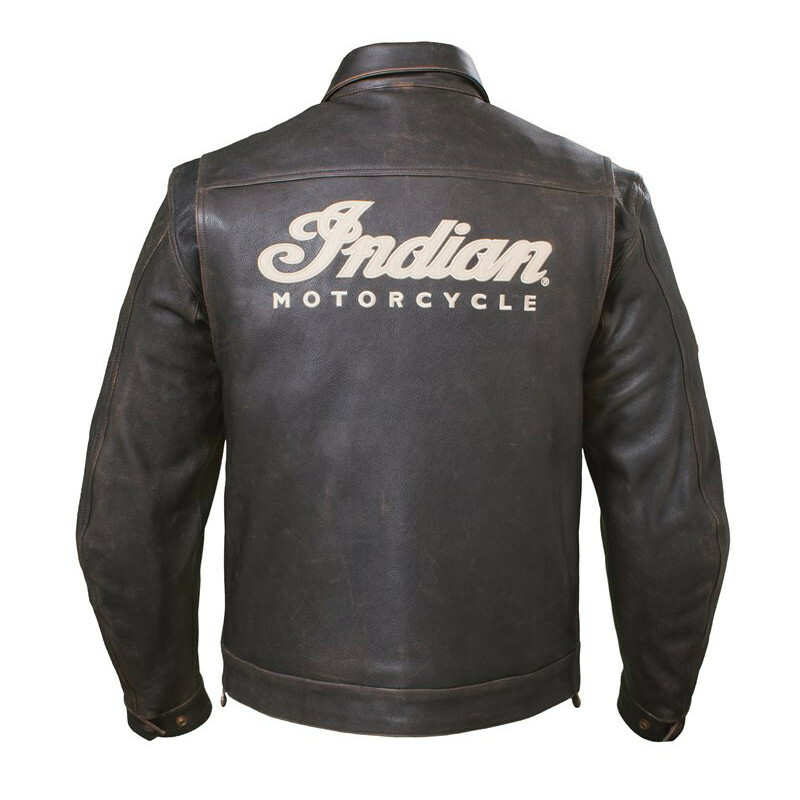 This Indian jacket contains Knox armour in the shoulders and elbows. 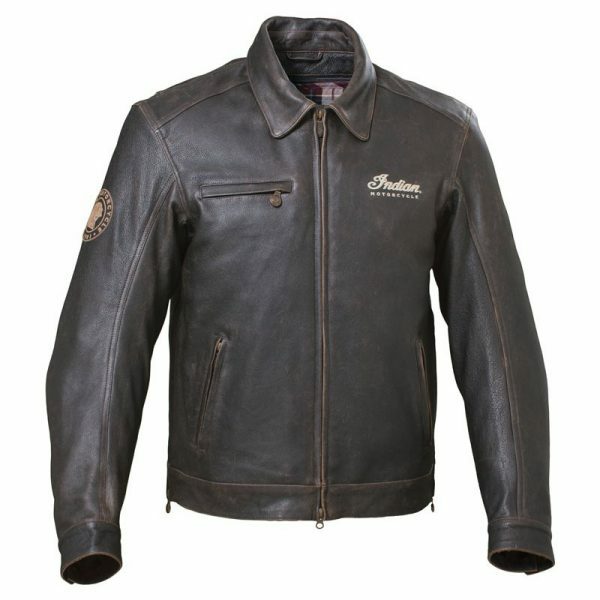 It has a comfortable fit and fell supple very quickly due to the high quality leather. There is a removable quilted vest liner which adds a nice touch to the vintage look of this motorbike jacket. The cotton liner is plaid / tartan patterned material. If you remove the liner, you will get an added bonus of a large circular Indian logo stitched into the inside of the jacket. There are two internal zip pockets to stash stuff too. For added comfort, the ‘active back’ means that you can reach the handlebars without the sleeves riding half way up your arm! The Classic 2 jacket has three zip pockets with branded zip pulls and poppers on the collar to keep it in place. Care and Cleaning: Shell – Remove armour before cleaning. Entrust to specialist. Leather cleaner only. Liner – Remove from garment and clean separately. Use mild detergent. Cold rinse, short spin. Do not bleach. Do not use fabric softener. Do not dry clean. Do not tumble dry.